Chennai Super Kings entered their sixth IPL final in eight attempts, withstanding and overcoming Royal Challengers' fightback on a slow pitch. Super Kings seemed to have the game in control from the moment Ashish Nehra took out Virat Kohli and AB de Villiers in the fifth over. But Royal Challengers scrapped their way through to set a fighting target of 140. 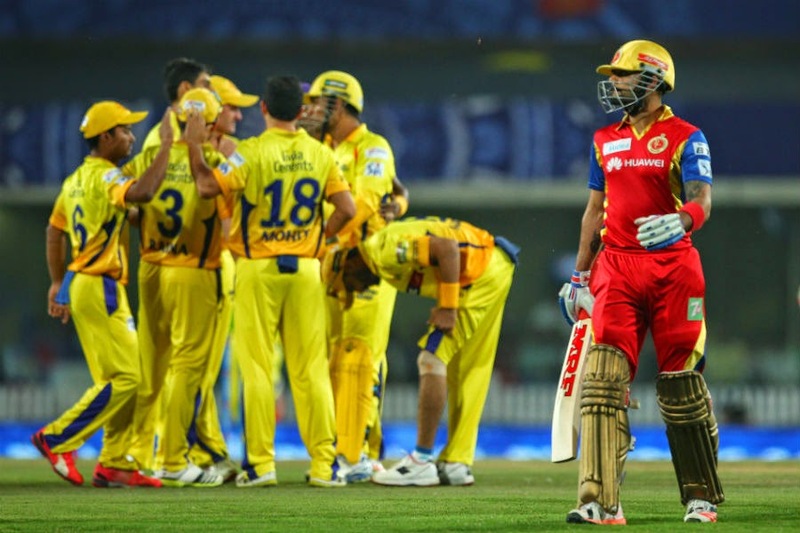 Their bowlers kept the Super Kings top order quiet in the first half of the chase, and the wickets came in the second. MS Dhoni hung in but fell after levelling the scores. R Ashwin nudged a single off the penultimate ball to seal the win. Both captains had their wish fulfilled at the toss. Dew in mind, Dhoni wanted to chase. Knockout pressure and a dry pitch in mind, Kohli wanted runs on the board.